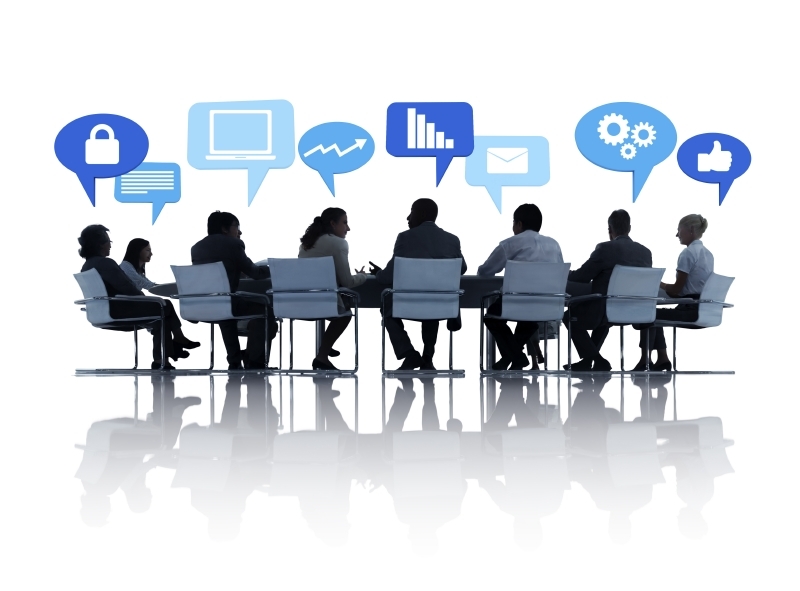 When it comes to strong brand equity, everyone in the organization has to have a seat at the table. 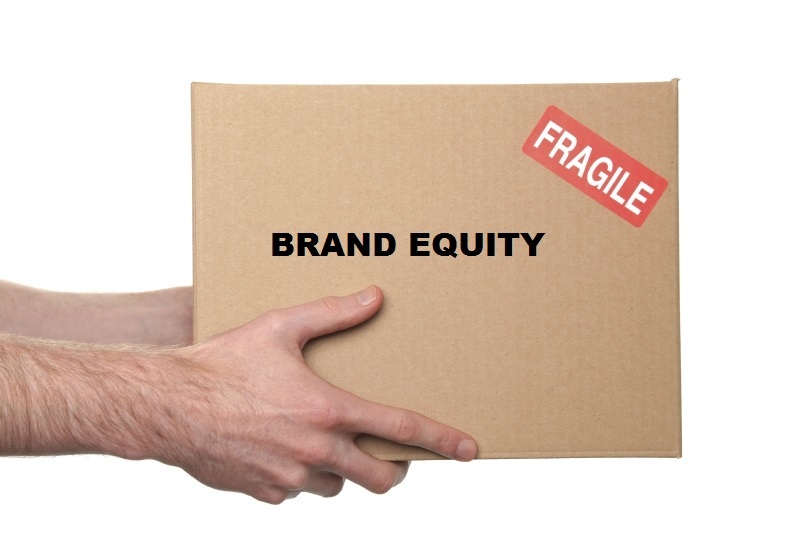 Brand equity is the result of positive interactions and transactions between the consumer and brand – across all touchpoints and all communication channels. It is built over time by brands being loyal to customers by providing them with the products, services, and interactions that they expect and value. However, building brand equity is increasingly complicated by the number of touchpoints a brand has with consumers. As consumers, we have all experienced the frustration of being over-communicated to. Our mailboxes and inboxes are flooded, sometimes with conflicting messages. Or we continuously see marketing communications for things we already purchased or do not want. And even though we may be good customers of a brand, sometimes one channel does not recognize us or treat us as a loyal customer. All of this is due to a breakdown in sharing of data, customer insights, and marketing plans across the enterprise. The customer experience is not optimized and this negatively affects brand equity. Brand equity is important to an organization because it means consumers trust and believe in the value of your brand over other brands. Brands with strong brand equity have more pricing power. They are top of mind, and are the brands that customers go to first. And they are brands that consumers are willing and happy to receive communications from, resulting in higher response rates to marketing communications. 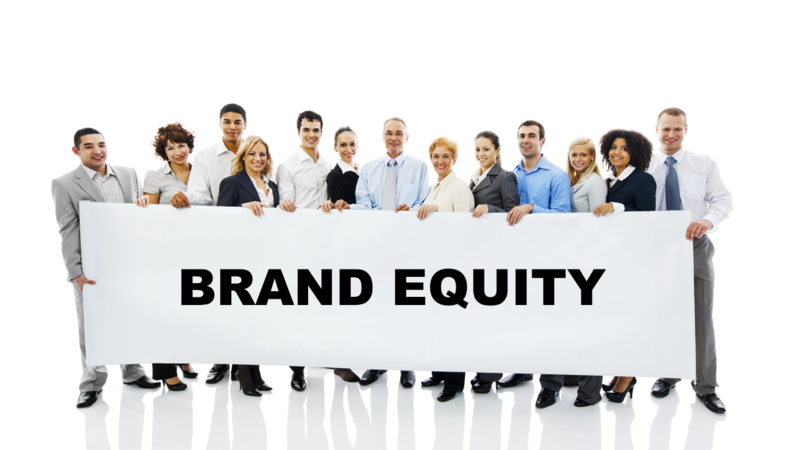 Strong brand equity increases customer retention, marketing ROI, market share, profits, and shareholder value. And that is why leading companies invest in improvements in customer experience. An organization that desires to increase brand equity, focuses on customer experience and will leverage all available data and analytics, across the enterprise, to create positive customer perception of their brand. Today’s rapidly shifting consumers, competition and employee turnover make it even more important to have systems and processes in place to manage across the enterprise. Support for the customer experience need to be embedded across the organization, needs to go beyond one-time initiatives, and needs to be integrated with customer interaction channels. In support of that, , see SAS Marketing Operations Management that provides the ability to plan, manage and visualize programs across your organization, as well as the new SAS Customer Intelligence 360 platform, which gives you the ability to put those plans into action and engage with customers. 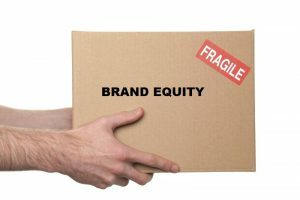 Look for part 2 of this post where I discuss my own experience when brand equity suffered because of a fractured customer experience and how SAS can help you avoid this mistake. Brand equity is built on customer experience was published on Customer Intelligence. There's no doubt that artificial intelligence (AI) is here and is rapidly gaining the attention of brands large and small. As I talk to customers and prospects, they are interested in understanding how AI and its subcomponents (cognitive computing, machine learning, or even deep learning) are being woven into various departments (marketing, sales, service and support) at organizations across industries. Here are some examples of cognitive computing and machine learning today at organizations, and how these capabilities will enhance customer experience in the future. AI as a practice is not new – John McCarthy and others started their research into this area back in the 1950s. AI and its subcomponents are rooted in predictive analytics (neural networks, data mining, natural language processing, etc., all have their beginnings here). Automation and the use of supervised and unsupervised algorithms are crucial to machine learning and cognitive computing use cases. Deep learning uses the concept of teaching and training to accomplish more advanced automation tasks. It’s important to note that deep learning is not as prevalent from a customer experience perspective as machine learning and cognitive computing. Let's take a look at what AI means for brands as the customer experience becomes the primary differentiator for marketing organizations. Cognitive computing enables software to engaging in human-like interactions. 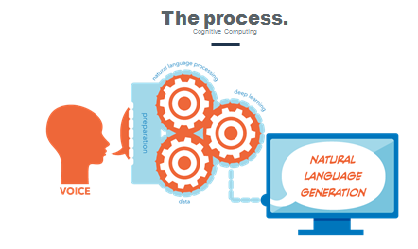 Cognitive computing uses analytical processes (voice to text, natural language processing and text and sentiment analysis) to determine answers to questions. For example, a SAS customer uses automation to provide a quicker response to service requests that come in to the brand's contact center. It can send an automated reply to service inquires, direct the customer to appropriate departments, and send customer responses back to the channel – all using SAS solutions. These capabilities reduces the number of replies that require human intervention and improves service response times. This same use case can be applied across industries such as retail, telecom, financial services and utilities. The end result? 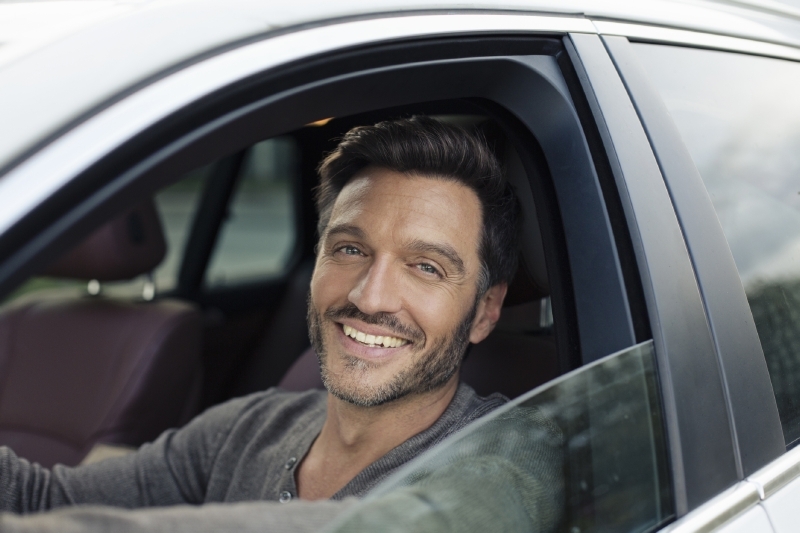 A happier customer and an improved customer experience. Machine learning uses software that can scan data to identify patterns and predict future results with minimal human intervention. Analytics play an important role. 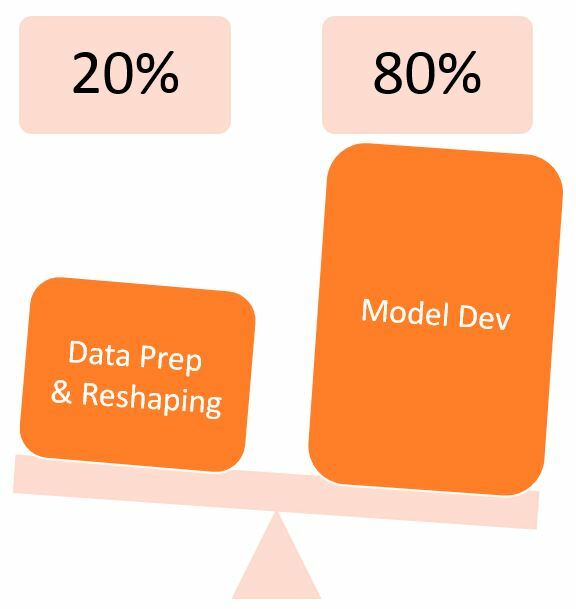 Model retraining, the use of historical data and environmental conditions all serve as inputs into the supervised and unsupervised algorithms that machine learning uses. For example, some of our large telecom and financial services providers use data, customer journey maps and past patterns to be able to serve timely and relevant offers during customer interactions. Many of our customers can do in less than one second, and are providing response and replies that are relevant and individualized. Another great example of machine learning is the development work that SAS is doing currently with regard to its marketing software. Our customer intelligence solutions use embedded machine learning processes to make setting up activities and completing tasks in the software easier for analysts and marketers alike. For instance, the software will automatically choose the optimal customer segment and creative combinations for a campaign. It will also recommend the best time to follow up with a customer or segment and on the customer’s preferred devices. Machine learning also gives marketers the ability to understand how to use and modify digital assets for the most reach and optimal conversions. Deep learning, a newer concept that relies on deep neural networks – is certainly something that is coming to the marketing and service realms. Many companies have started looking at how we teach and train software to accomplish complex activities – drive cars, play chess, make art (the list goes on). As for marketing, I believe we will see deep learning being used to run marketing programs, initiate customer service interactions or map customer journeys in detail. These are just a few examples of how we are seeing AI improve the customer experience. You and I, as digitally empowered consumers, will certainly benefit from man and machine working together to automate the interactions that we have with brands on a daily basis. I urge you to keep an eye out for how brands big and small are automating the interactions they have with you – I think you will be pleasantly surprised with the outcome. How artificial intelligence will enhance customer experiences was published on Customer Intelligence. 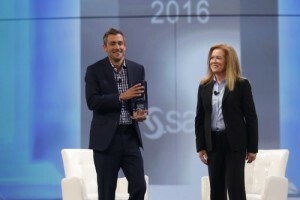 In April, SAS 360 Discover was introduced at SAS Global Forum 2016. Since my career started at SAS over five years ago, I have been anticipating this important announcement. In my opinion, this is a major breakthrough for the space of digital intelligence. In my first year working at SAS, I learned of research and development to address industry needs for digital marketers. Although technologies from Google, Adobe and others address web analytics with measurement reporting, there was a shortcoming. It nicely organizes raw clickstream into small, relevant data for reporting. 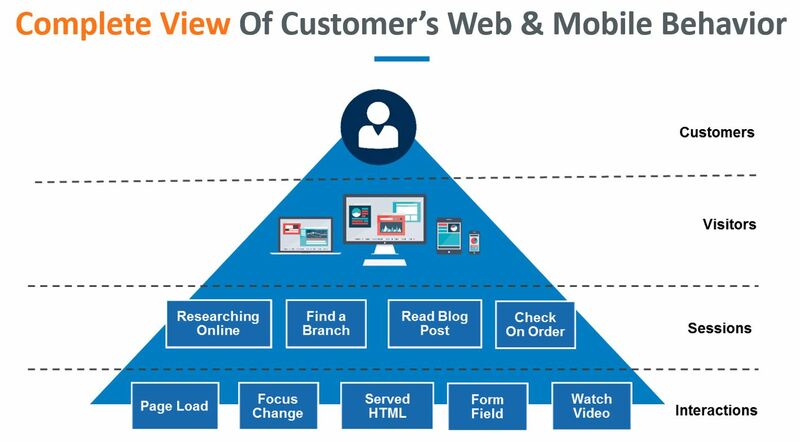 However, this approach presents challenges when performing customer-centric analysis. Why? Holistic customer analysis requires the collection and normalization of digital data at an individual level. This is one of the most important value props of SAS 360 Discover. 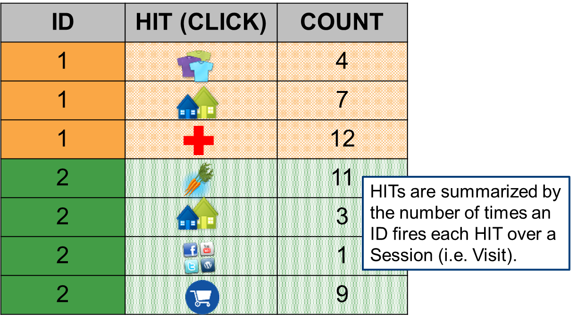 The data is prepared to contextualize all click activity across a customer's digital journey in one table row, including a primary key to map to all visits across browsers and devices. The data table view shifts from being tall and thin to short and wide. The beauty of this is it enables sophisticated analysis to prioritize what is important, and what isn't. This concept of data collection and management is considered a best practice for advanced customer analytics. How many marketers do you know who wake up in the morning and claim they can't wait to hear about how analysts are spending 80 percent of their time preparing raw web behavior data, rather than focusing on analysis and actionable insights? None, you say? Exactly! Wouldn't you rather hear your marketing analysts spend their time doing this? I have always appreciated SAS for what it can do with structured, semi-structured, and unstructured information, but there has always been one dependency – where do I point SAS to obtain the originating data? 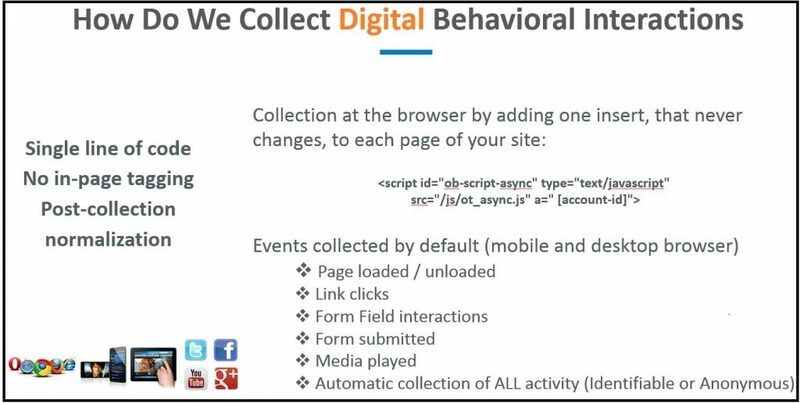 SAS 360 Discover eliminates this requirement, and provides data collection mechanisms for your brand's website(s) and mobile apps. 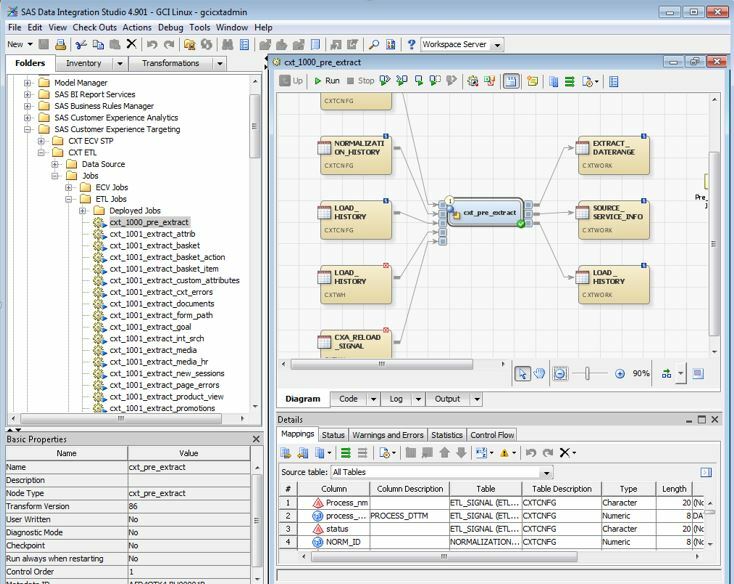 In addition, the raw semi-structured data streams SAS natively collects are run through a pre-built relational data model using SAS Data Management for various forms of contextualization that stretch far beyond traditional web analytic use cases. Digital data normalization to support online and offline data stitching of customers. When offline data is residing in your organization's data warehouse, information is available at the customer level (not a click or hit level). That's a problem when you want to link it with web or app data. The amount of time analysts spend reshaping raw HIT extracts from their web analytics solution is astonishing, and quite difficult. Customer analysis requires online/offline data stitching, and overcoming this obstacle was a problem SAS set out to solve. Measurement reporting and visualization of customers and segments. The reporting remains critical as an entry stage for analytics. 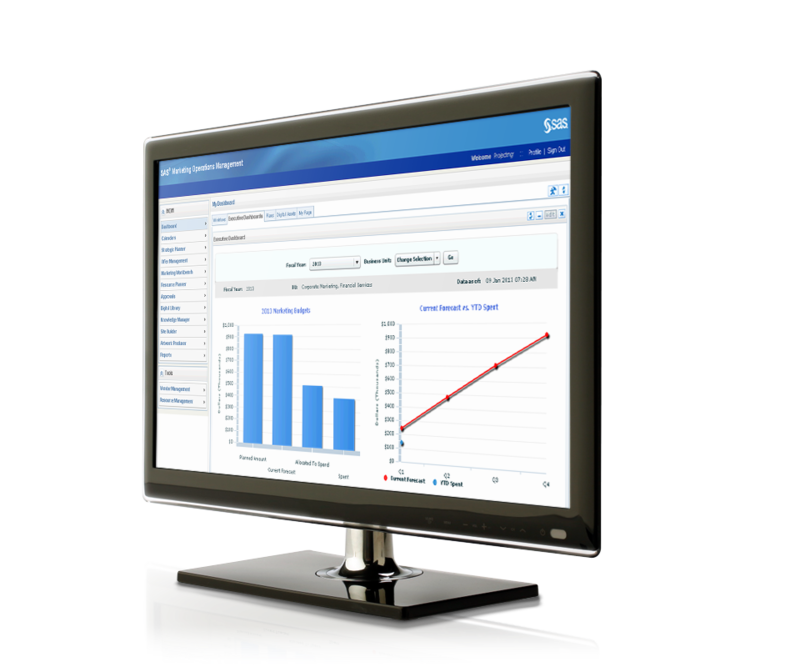 SAS believes there should be no limit to how many reports and dashboards can be produced to meet business objectives. In other words, unlimited ad hoc reports using SAS Visual Analytics, which is the analysis tool that is packaged with SAS 360 Discover. Predictive analytics, machine learning, and data science of customers and anonymous traffic. When it comes to customer analytics, there is only one undisputed leader. You can use any of the SAS analytic technologies with SAS 360 Discover. Brands gain a competitive edge if they stop perceiving customer engagement as a series of discrete interactions and instead see it as customers do: a set of interrelated interactions that, when combined, make up the customer experience. By folding in all known customer level information into a common hub, SAS can analyze, score and take intelligent, contextual actions across channels. In addition, here is the on-demand video of the SAS Global Forum 2016 keynote presentation of SAS Customer Intelligence 360. As a marketing analyst at heart, it is extremely gratifying to share my excitement for SAS 360 Discover. The time for predictive customer marketing in the digital ecosystem is here, and the 800-pound gorilla in advanced analytics has just unleashed your new secret weapon. SAS 360 Discover: Predictive marketing's new secret weapon was published on Customer Intelligence. Our customers deserve our respect. And I believe that, by and large, marketers treat their customers with the respect they deserve. But like with anything in life, creating happy customers only happens by making their experience relevant and satisfying – a complex task in an ever-changing environment. 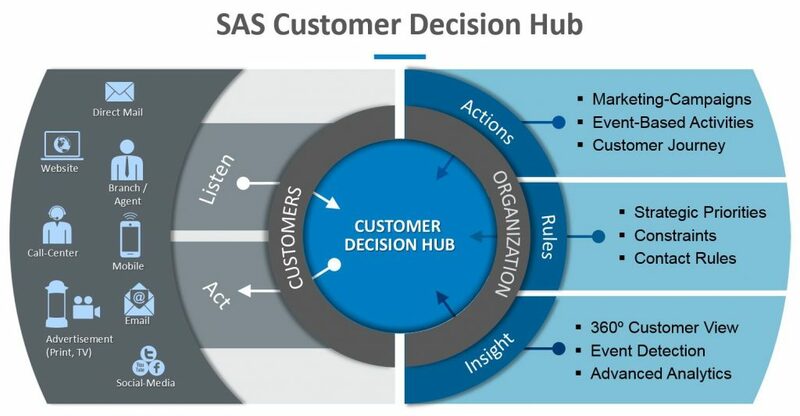 That’s why SAS has introduced SAS Customer Intelligence 360 . It gives you the ability to integrate data from all of your customer touchpoints and share and gather customer intelligence across your entire organization (not just customer-facing departments). One of the important modules of the new platform is SAS 360 Engage that does just what the name implies – helps you better engage with your customer by using analytical insights to make the right offers, faster. In the omnichannel world that marketers now inhabit, you know that you have to be hyper-alert at all times, or you miss an opportunity because you were too slow or make a misstep you’re not in a channel that your customer prefers. The real power of SAS 360 Engage is in its ability to help you respond effectively to changes in customer behavior – say for example, the customer breaks a pattern of channel preference and moves to a different channel. You’ll be able to recognize behavior shifts and choose the best action for each interaction. Personalizing, and even individualizing, the content that is placed on digital properties leads to higher engagement, loyalty and retention. It makes perfect sense. If customers see content that is relevant to them on a webpage or in a mobile app – they are much more likely to remain engaged – versus seeing generic content that is targeted to everyone. Targeting this “segment of one” increases uptake rates of offers and messages. It's really the best of all possible worlds -- acquiring new customers while delighting existing customers -- using contextual customer engagement across digital channels and devices. Delivering a contextual offer allows you to boost new-customer acquisition rates and ultimately leads to a stronger, more profitable customer base and higher return on marketing investment. 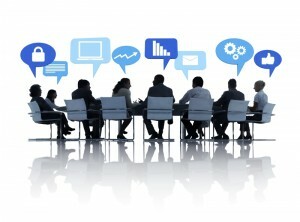 How to provide contextual customer experiences was published on Customer Intelligence Blog. 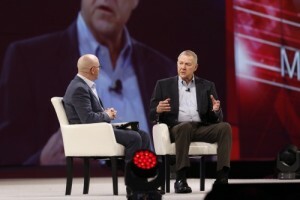 Highlights from SAS Global Forum: Opening Session was published on SAS Users.